SAN DIEGO -- Kristin Fahy was ready to roll. 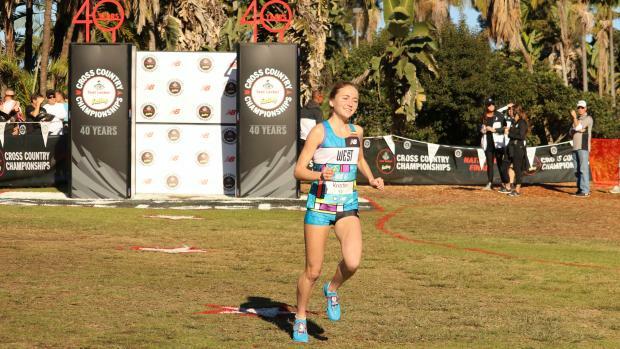 The Stanford-bound La Costa Canyon senior was buoyed by the partisan crowd for the start of the 40thFoot Locker National Championships over the hilly 5,000-meter course at Balboa Park's Morley Field she had run on numerous occasions. She smiled confidently during introductions. But it didn't take Fahy long to realize this was not going to be her day -- about a quarter-mile into the race. "I didn't go to the front at the gun," she said. "I didn't expect to lead from the start. Not against these runners -- they're the best in the nation." 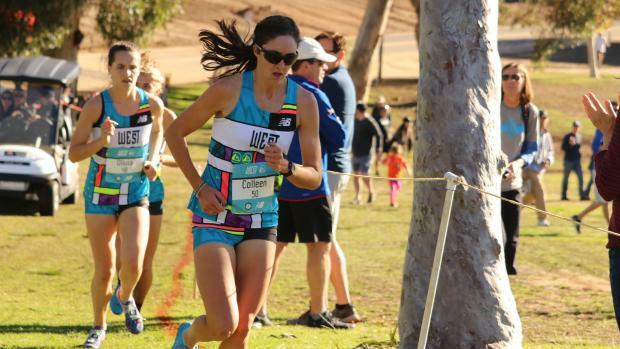 Jumping out in front at the San Diego Section championships two weeks earlier was expected and when she duplicated that feat last week in the Foot Locker West Regionals, it seems to be a sign of dominance. She knew, however, a torrid pace wouldn't serve her well and when the Katelynn Hunt went through the mile at 5:15, it confirmed what she thought. "I've never run a mile that fast at the start of a race," said Fahy. "In fact, my time (around 5:25) was as fast as I've gone out." She was 22nd out of 40 runners. Not exactly her comfort zone. Fahy did charge and got as high as 15th before she knew this was not going to be her day, falling back to 25th in 18:20.7 -- 80 seconds behind the winner Sydney Masciarelli. She acknowledged that four straight hard races (section, state, regional and nationals) took a lot out of her but would not use that as an excuse, saying the others had hard races the last month. Some, but none of them won section, state and Foot Locker Regionals like Fahy. It's a problem Californians in particular, and Foot Locker West runners in general, face each year. The other three Regionals were two weeks ago. Some of those runners hadn't competed in a high school race for a month. The thing about Fahy is ever since she collapsed during the state finals last year she doesn't get too excited about wins or too down with setbacks. "I enjoyed my experience here, I met a lot of girls who will be my friends the rest of my life," she said. "When I run in college I'll run against some of them. (Masciarelli) is a great natural talent. Fantastic. My roommate at the Hotel Del, Alex Morris (of Naperville, Ill.) was great. I got to see Claudia Lane again." But she admits she'll take two weeks off from running and then set her sights on track where she's the state's top returnee in the 3,200. "I'm super excited about going for the (San Diego Section) record and seeing how I can do on the track," she said. "But right now I'm really looking forward to ice skating later with my new friends at the Hotel Del." 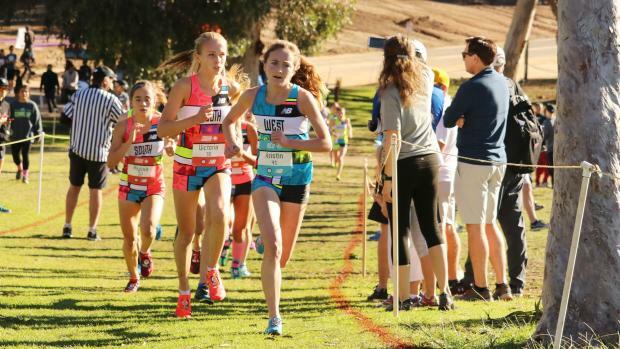 For the first time since 2003, CA runners did not finish among the top 10 at the Foot Locker National Cross Country Championships. It is only the second time CA runners did not place among the top 10 in the 40-year history of the Kinney/Foot Locker-sponsored event. 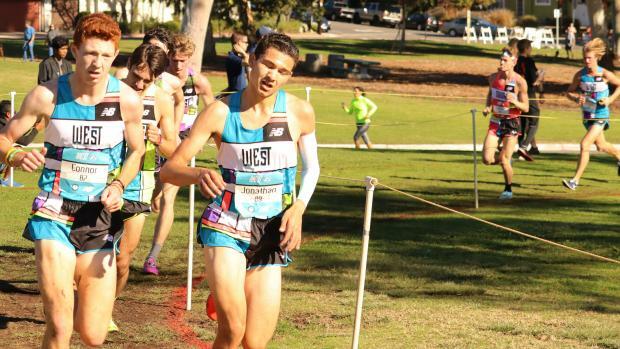 For most of the 10 CA runners on the West Region team, this is a fifth consecutive week of "championship" racing, following section prelims, section finals, state finals, regionals and Saturday's National final. In the North Coast Section, FLN-qualifiers Colleen McCandless of Granada and Connor Livingston of De la Salle, had to run their air-quality-delayed section final on the Tuesday before the State Championships. Two-time regional boys champion Kashon Harrison from New Mexico was the top finisher from the West team, placing 11th in 15:37.4, well back of overall winer Cole Hocker of Indiana (15:13.7). William Frankenfeld, the Southern Section Division I champion from Long Beach Poly, was the top CA boy across the line (15:52.4) in 14th, one place ahead of Livingston (15:53.8). "Honestly, right now, I just need a rest," Frankenfeld said. "It's been a loooooonnnngg season. Just brutal. Five weeks back-to-back elite racing I'm just ... I'm done." Jonathan Velasco, the San Diego Section Division I champion from San Marcos Mission Hills, was 20th (16:01.9). Noah Hibbard from El Monte Arroyo was 26th (16:10.7), and junior Anthony Grover, the two-time State Division IV champion, hit the wall somewhere into the second mile of the 3.1-mile race and struggled to finish (17:29.8). "The race was going according to plan the first two-and-a-half miles and then with about 400 left, that's when I just hit the wall and I wan't able to overcome the pain," Grover said hours afterward. "Going up the hill for the second time, that's when I really started to feel it and then I just realized, this is not going to be good. I don't know what happened today. I just have to figure that out." Gabrielle Peterson, the State Division IV champion from Healdsburg, was the top finisher among the five CA girls on the West team, placing 23rd in 18:16.4. Audrey Suarez, a sophomore from Pasadena Mayfield who is the State Division IV champion, was 30th (18:31.9). McCandless was 37th (19:18.1), and Hana Catsimanes, a junior from San Clemente, was 38th (19:34.3). "I'm definitely ... I'm tired," McCandless said. "I'm ready for break but I'm very happy with how my season turned out. It's hard, but we're out here." Catsimanes and Suarez, among the girls, and Grover, on the boys side, are all underclass with an opportunity to earn a return trip to FLN in 2019. 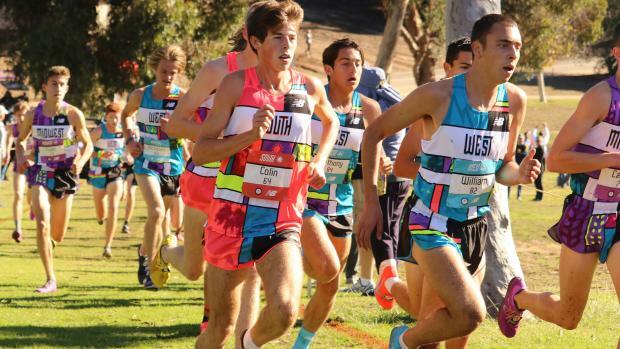 MileSplitCA Editor Jeffrey Parenti contributed reporting and photos to this article.